We envision a world where young leaders of color with wealth are in cross-class and multi-racial community, taking collective action towards a racially and economically just world. While individual wealth may offer some safety and access to power for a select few, it cannot ensure communal safety from racialized violence by the state, corporations, or climate change. Through our powerful actions together, we can end extreme and racialized wealth inequality, and move closer to true liberation for our communities. 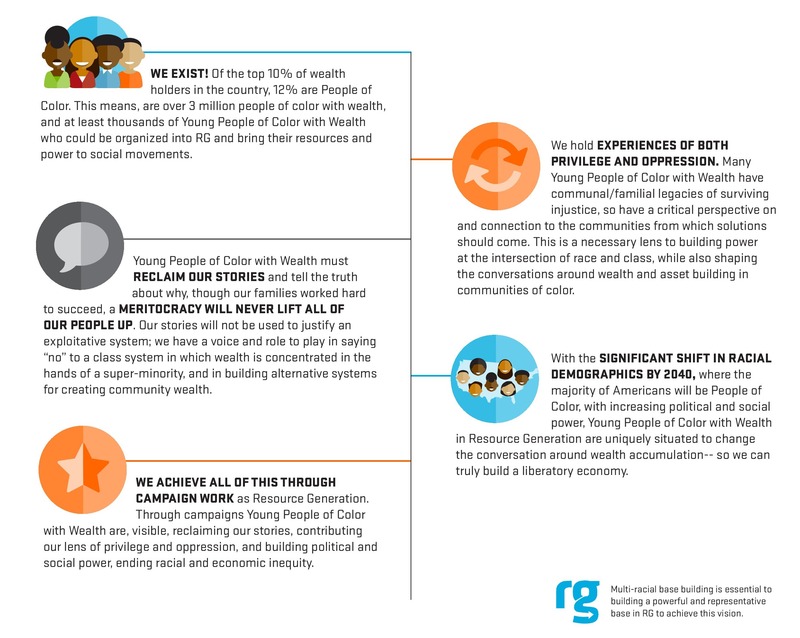 Why do we need to organize young people of color with wealth?